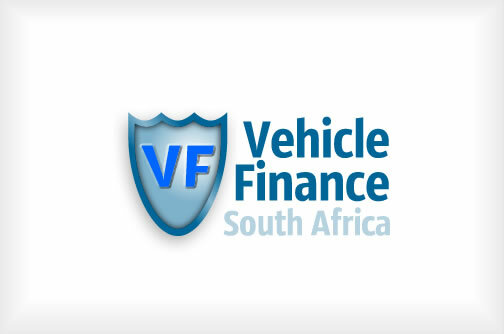 Vehicle Finance South Africa - Providing finance to people who have purchased cars privately and need help applying to banks. 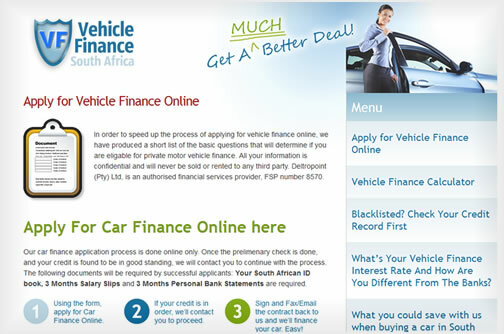 Vehicle Finance South Africa helps South Africans who would like to buy a car privately with vehicle finance and offers very low prices on initiation fees. 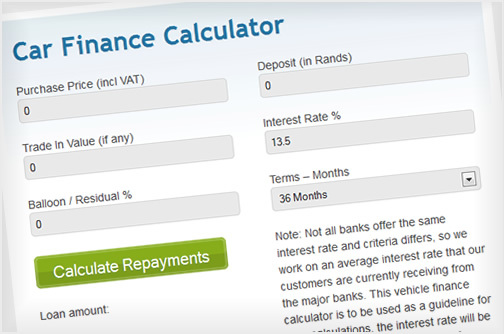 They also have this vehicle finance calculator to help you work out your repayments. The site is great by the way. I have had a few leads as I am sure you know!